Disclosure- This post is brought to you by Ulta Beauty. A couple of products, especially this and this, from the list below, had been on my wishlist for don't know how long and I have no idea what stopped me from buying them. But I am glad I was finally able to buy all of em, thanks to +ultabeauty for the generous gift card, which without a doubt facilitated this post. So let's see why and what did my Ulta haul comprise of. 1) SmashBox Photo Finish Primer - I was told by my beauty sales-associate that this green primer worked great in minimizing the redness and skin-tone-correction. Talking of redness- so yours truly has a super sensitive skin which tends to be red all the time. It is so red at times, that the redness just shows through all the layers of my makeup. I knew I needed this desperately, but each time I would go into the store to buy one, I would get carried away and come home with other primers that only addressed the moisturization and not the redness. Hence this one never made its way to my vanity, until this time when I stayed focused and headed straight to the Smashbox counter..... Rest is all history. I have used it a couple of times so far: not completely but I would say it successfully concealed eighty percent of the redness. It also camouflaged some dark spots on my cheeks, making them less visible. Overall a product I regret not buying before. 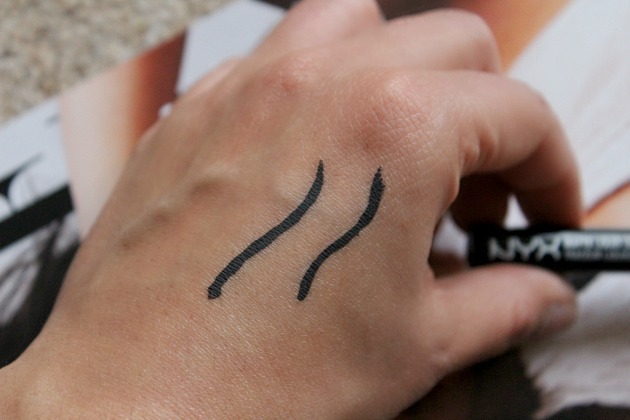 2) NYX Matte Eyeliner in Noir Black- I am a sucker for anything matte: be it lipstick or even an eyeliner. In the past year or so I have tried a few matte eyeliners and this one's by-far my favorite. It compares well to my Chambor matte eyeliner from India, but sets itself apart in respect of the longevity. It stood the test of time and lasted for a good four hours without flaking, which is the most common issue I've had with other eye liners. All is good about this liner, except that the applicator tip could have been wider, for that extra drama. 3) Benefit Cosmetics POREfessional face primer- Every beauty junkie on YouTube, swears by this product, but this chica was far from buying one. Good lord: why did I wait so long ??? The results of this product were spectacular. Not only did it minimize the appearance of my pores, but also helped mattify my oily T-zone. I used it under my foundation for a smoother feel, but you could apply it over your foundation. With your fingertips, apply to the problem areas only and voila!!! This one works for all skin types. 4) Too Faced Eye Shadow Insurance- This was an impulse purchase at the store. I overheard another customer asking for this and we both ended up getting it. The packaging looked tempting and the name sounded more than tempting. This iconic cream, supposedly locks down eye shadows and intensifies color to ensure crease-proof, fade-proof, waterproof wear for up to 24 hours. I haven't had a chance to unravel it's goodness, but stay tuned. Whenever it happens, I will definitely give you a shoutout. 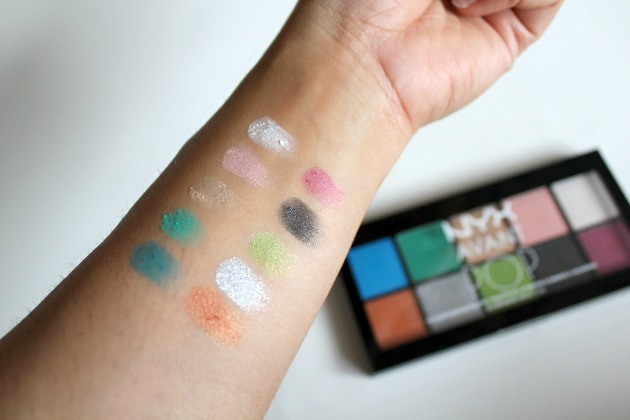 5) NYX Avant Pop Art Throb Eye Shadow palette- I've always embraced neutral and earthy-tone eye shadows, but this girl has had enough. With the thought of spring approaching, I was ready to try out new and brighter eye shadows this year, and this palette is just what I needed. With a plethora of vibrant hues, this palette is sure to get a run for it's money coming spring. There is blue, green, orange, pink, blush: pretty much all the colors that scream nothing but spring. I am so in love with the texture of the shadows: they are not completely matte but the light pigmentation doesn't fade away its opaqueness. I just can't wait to recreate masterpieces with this palette. 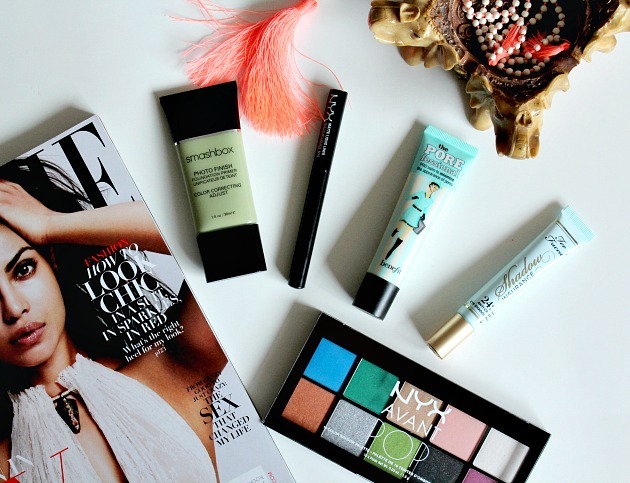 What are the beauty products you are buying this season? ?